The French strategic partnership offer for the replacement of F-16 fighter-bombers with Rafale aircraft has never been studied in detail by Belgium, whereas the complete file has never been received by Belgian firms, in outside the Defense, L'Echo reported this Thursday (June 13, 2018). The authorities are not even in possession of the full offer. The French proposal has so far not been examined in detail by Belgium, whose authorities are not even in possession of the complete offer, the business daily told a source familiar with the matter. The complete document, which is over 3,000 pages long, has never been formally filed in Belgium. With the exception of the Defense ministry, no Belgian cabinet, not even at the level of the Prime Minister or of the Foreign Affairs ministry, has been authorized to receive the bulky file or to discuss it with representatives of France. The Defense organization says it is required to work exclusively within the framework of the Request for Government Proposals, absent a political decision by the government putting this procedure in question. But France did not respect this procedure by proposing a "strategic partnership" by letter addressed to Belgian Minister of Defense Steven Vandeput. 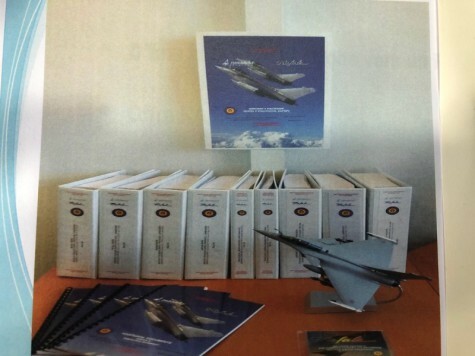 However, the French offer contains some interesting elements, such Belgium’s possible participation in the French-German Future Air Combat System (Système de Combat Aérien Future, SCAF) program or, according to L'Echo’s report, a very short waiting period (less than three years) for the delivery of the 34 aircraft to begin, regardless of when the contract was signed. (EDITOR’S NOTE: It is hardly a secret that the Dutch-speaking Flemings who hold the top positions in Belgium’s defense ministry and its armed forces are hostile to France’s offer, and are generally understood to favor the Lockheed F-35 while virtually ignoring the third candidate, inexplicably carried by the British government and BAE Systems, the Eurofighter Typhoon. This bias was clearly demonstrated by Belgian Defense Minister Steven Vandeput, when he dismissed the French offer as “too good to be true,” while shrugging off the fact that the cost of the F-35, as notified to Congress by the US Defense Security Cooperation Agency ($6.53 billion, today worth €5.7 billion), is about 55% more than the €3.7 billion funds that Belgium has earmarked for the acquisition. This lack of concern about the F-35’s acquisition costs -- as well as its operating costs, that are so high that the US Air Force says it cannot afford them – is all the more surprising that Vandeput is a chartered accountant by trade. Finally, Vandeput has maintained that he could not countenance France’s offer because it was not made within the very strict framework of the Request for Government Proposal (RfGP) he launched on 17 March 2017. Contrary to what he claims, the F-16 replacement procedure does not obligate Belgium to complete the competition, nor does it impose any other obligation about the process.